The AHL transactions page has the news that Brendan Bell has been returned to the Connecticut Whale from the NY Rangers. Bell, 6’1, 205 pounds from Ottawa, Ontario Canada, played in one game for the Blueshirts this season and did not register any points or PIM and was a minus-1. Meanwhile in the FHL, sources indicate that the Danbury Whalers have traded for defenseman Paul Arnott, a very popular player with the team last season. Arnott, a Holly, Michigan native, had two goals and seven assists in 25 games in The Hat City last season. Today at the Danbury Ice Arena in Danbury, Connecticut, the Danbury Whalers and the Elmira Jackals announced an affiliation agreement between the two organizations. Danbury Whalers President and General Manager Herm Sorcher announced the signing of forwards Kevin McCready and Greg Holt for the 2011-2012 season. McCready joins the Whalers after spending the 2010-2011 season with the Fitchburg State Falcons (NCAA DIII). In 23 games McCready, tallied 15 goals and 13 assists including two game-winning goals. In 49 career games at Fitchburg McCready was nearly a point per game player with 48 points in 49 games. Kevin hails from Poughkeepsie, NY. Holt is a former Quinnipiac University (NCAA DI) standout. The Mt. Sinai, NY native finished his senior season with the Bobcats in 2009-10 with 30 points in 39 games. During his senior season Holt scored a goal in the fifth overtime against Union in the ECAC tournament. In 144 games with Quinnipiac Holt put up 24 goals and 44 assists for 68 points. Last season Holt split time in the CHL and SPHL. Danbury Whalers president & general manager Herm Sorcher announced the resigning of Goaltender, Peter Vetri, and Defensemen Adam Blanchette and Chris Clark to return for the 2011-12 hockey season. Peter Vetri played in two regular season games for the Whalers last season and won both with a .981 save%, and a 0.50 GAA with one shutout. Vetri started all five playoffs, posting both Whalers wins. In his professional career, Vetri has spent time in the AHL, ECHL, and the SPHL. 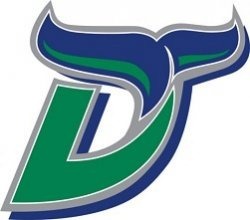 Today at the Danbury Ice Arena in Danbury, Connecticut, the Danbury Whalers announced the team’s complete home and away game schedule. The Federal Hockey League, in its second season will play a 53 game schedule over a 19-week period. The schedule features 27 home games, 25 road games, and one neutral site. 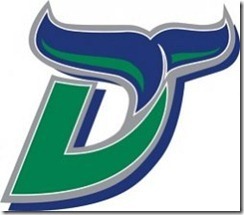 The Danbury Whalers season gets underway with an Opening Weekend of games. The club will drop the puck on Thursday, October 27th, when they take on the New Jersey Outlaws. The Outlaws are coached by former Danbury Whalers Head Coach, Chris Firriolo. The following night, Friday, October 28th, the Whalers travel to New Jersey to take on the Outlaws in their road opener. On Saturday, October 29th, the Whalers return to Danbury and will face the Cape Cod Bluefins. The home schedule breakdowns as follows, there will be 9 Saturday games, 9 Fridays, 2 Sunday games, 5 Wednesdays, and 2 Thursdays. The 53rd game on the schedule is a neutral site game in Lewiston, Maine against the Danville Dashers. The opponent breakdown for the Danbury Whalers will be New Jersey & Cape Cod 11 times each, Brooklyn 10 times, Vermont 7 times, 1000 Islands & Danville 5 times each, and the defending champion Akwesasne Warriors 4 times. Home game times for the Danbury Whalers are still to be determined. 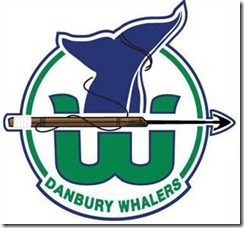 Individual game tickets for the Danbury Whalers will go on sale on Saturday, September 10th at noon. For season ticket holders, the season ticket package at the time it was sold was based on a 30 game home season. With 27 home games scheduled, the Whalers are currently seeking to add additional home dates and or include playoff games as part of the plan. Further updates will be provided. After falling to the New York Aviators in round one of last season’s Federal Hockey League playoffs by a single goal in a game five overtime situation, Whalers hockey has returned to the ice at the Danbury Ice Arena for the second annual free agent tryout camp. The two day camp held Friday and Saturday was a chance for players with different skill levels and experience take to the ice and show what they are made of in hopes of getting a call back to the Whalers training camp. 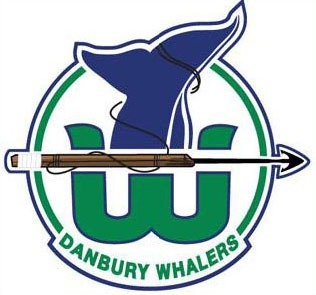 On Thursday, June 9th at 8 pm, the Danbury Whalers Hockey Club will be holding a press conference at 1st & 10 Sports Bar & Grill located on 507 Danbury Road (Route 7) in New Milford. At this announcement, the Danbury Whalers will be announcing their new Head Coach. This event is open to the public and fans are encouraged to attend for what should be an exciting evening.